Settling An Estate And Selling An Inherited House In Fredericksburg. 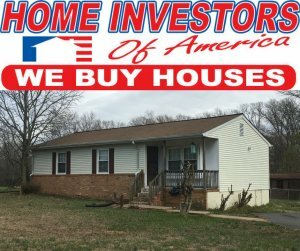 | Home Investors of America, Inc. Settling An Estate And Selling An Inherited House In Fredericksburg. Selling An Inherited House In the Fredericksburg Area Doesn’t Need To Be Complicated. The general thought of settling an estate can seem overwhelming if you think about it too deeply. It can be very stressful and awkward because it’s something that you might only do once or twice in your lifetime. It’s hard enough dealing with a recent loss of a loved one and can be a very sensitive time for you and your family. If you’re currently entering the process of settling an estate and selling an inherited house in Virginia, then hopefully this blog post will be helpful. There are multiple considerations to make when selling inherited property and everyone’s needs will be different. What To Consider When Selling An Inherited House. So let’s go over some basic things to think about before you begin this process. Do you live in the local area or do you live a long distance away from the property? Thanks to technology it has become much easier to sell a house from long distance than it was in the past. You don’t necessarily need to drop everything you’re doing and fly all the way to Virginia to sell your inherited house. Real estate closings can be done by mail-away packets or sometimes even electronically. Another major thing to question is are all of the heirs to the estate onboard to sell the house? It’s not uncommon for some of the heirs to be in disagreement on how things should be handled. It is important to make sure that all of the heirs involved are on the same page. Also is the probate process finished and has the property already been deeded over to the Executor of the estate? It’s much better to wait and make sure that the probate process is completed before selling the property because it’s much less complicated and you’ll have more control rather than leaving decisions to be made by a judge. You should always consult with a probate attorney for proper legal advice before making any decisions. Keeping The Sale Process Simple. 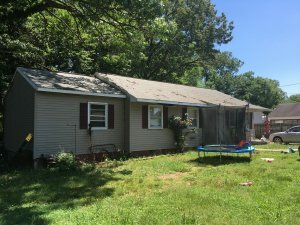 The fastest and most simplistic way to sell inherited property in Fredericksburg, Spotsylvania, King George, and Stafford is to sell your house as is. When you sell a house as is there will virtually be no repairs to make to the property. If you get in touch directly with local cash buyers like Home Investors of America, they will buy your house for cash and close fast! This will allow you to sell your inherited house fast and you won’t need to pay any agent fees! Click on the photo below to get started!